SALE!!! ALL PRODUCTS REDUCED FOR BLOW OUT!! 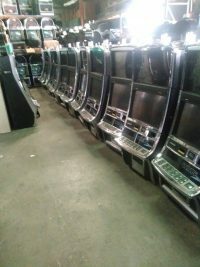 Wholesale slot machines! Plug and play, Real clean in and out. Takes all new bills and complete with Thermal Ticket Printers. We won’t be under sold in price or quality. Best service record in the business!